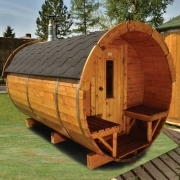 Finnish sauna type "barrel" LS-1840 with 6 places and veranda. Material pine. Dimensions: Φ1800 * 4000 mm. Stove included in the price. MINI JEEP RANGER Model 200 long wheelbase, BIG TIRES AND ALL FACILITIES: 170cc Carb ODES US Engine, long wheelbase, adjustable seats Speedometer (km) Mirrors, soft ceiling Plexiglas upper spotlights, LED Light Rear 10 "alloy wheels, 22 "tires. Kit, Speedometer, mirrors, roof, windshield, headlights and rear upper LED lights, the bigger engine 170ss (instead 150ss. Accessories are included. Mini Jeep off-road with your registration certificate. The model is favorable for lov.Neobhodima's license. 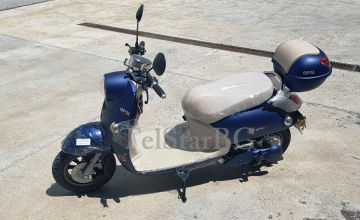 Specification: Engine: 170 cc, 4-stroke, single cylinder, air-cooled. Power: 7.6 kw (7500r / min) 10.5HP horsepower. Compression ratio: 9: 0: 1. Fuel system: Karburator.Droselna system: automations. Capacity: 9.5L gasoline. Transmission: Drive: 2WD. Final Drive Chain-drive. Transmission Automatic. Gear Selection H-P-R. Electric system: Front lights: Long and short. Rear lights: Signal lights. Starter system: electric. Ignition: C.D.I. Brakes: Suspension Front Double A-arm. Suspension Rear Dual Shock Swing arm. Front brakes Dual hydraulic disc. Rear brakes Uniax hydraulic drive. Tyres: Front 1020 mm 19x7-8. Rear 965mm 20x10-9. 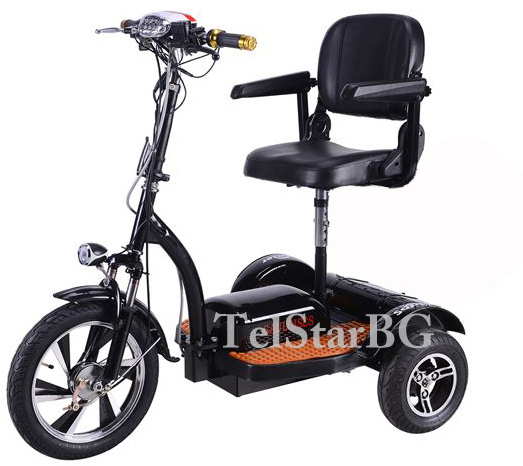 Maximum speed: 65km / h. Weight: 300kg. Dimensions: (L? W? H) a long wheelbase is: 2370x1220x1480mm. Mini off-road jeep with registration and e sertificate. 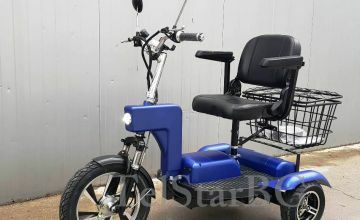 This model is with all the extras: 170cc Carb ODES US Engin, short wheelbase adjustable seats Speedometer (km) Mirrors 8 "steel wheels 19" / 20 "tires, soft ceiling Plexiglas windscreen upper lights, mirrors, roof zadnitse LED lights, engine 170ss (instead 150ss) .All accessories are included. 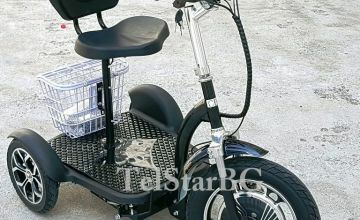 SWB has the following dimensions: UTV 2250x1220x1397mm. 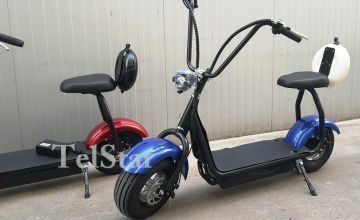 Specification: Engine: 4 stroke, single cylinder, air-cooled Power: 6.8kw (7500r / min) 9.3HP Compression: 9.5: 1 Fuel system: Carburetor Throttle System: automations Capacity: 9.5L Transmission: Drive: 2WD Final Drive Chain-drive Transmission Automatic Gear Selection H-P-R Electric system: Headlights: Headlights-High & Low Beam Rear lights: Brake Lights & Left / Right Signal lights Starter system: electric Ignition: C.D.I Brakes: Suspension Front Double A-arm Suspension Rear Dual Shock Swing arm Brakes Front Dual Hydraulic Disk Brakes Rear Rear Single Axle Hydraulic Disk Tires Front 970mm 19x7-8 Rear 965mm 20x10-9 Maximum speed: 55km / h Weight: 210kg Ground clearance: 200mm Seat belts. 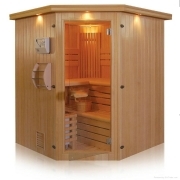 Six-corner Finnish sauna Dimensions - 1350 mm X 1350 mm X 2100 mm X 2100 mm. Height: 2100 mm. Panel thickness 7 cm. 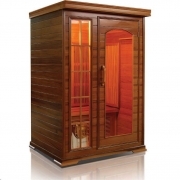 Sauna stove heater - 6000 w. Door - Tempered glass. Voltage - 110v / 220v. • Tempered glass door: 6 mm • wall elements: Multi-layer double wall construction • kind of wood: Canadian Red Cedar • Tempered glass door: 6 mm Extras gift: 1. Volcanic stones to stove. 2. Decorative outdoor lights 100BGN. 3. Stand for cups and newspapers 40 lev 4. A large panoramic window. 6. Set a sauna. 7. External digital controller. Chiller BWC-H 17PA2 17.5KW air cooling and controller AIRMEC. Pellet boiler corrosion alloy HEATING BV0.035-85 / 65-M STRAW PELLET.Moshtnost: 35KW. Finnish sauna with 6 places. • Type of tree: Canadian Red Cedar • Dimensions: length 2100 mm x width 2000 mm x height 2000 mm. Panel thickness 7 cm. • Heater - sauna heater power: 6000 W • Tempered glass door: 6 mm • wall elements: Multi-layer double wall construction • external digital control. • stove heating stones Extras gift: 1. Volcanic stones to stove. 2. Decorative outdoor lights 100BGN. 3. Stand for cups and newspapers 40 lev 4. Large panoramic window 5. Set Sauna (includes thermometer, hourglass and ladle). External digital controller. 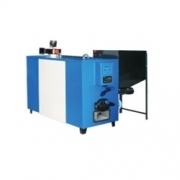 Pellet heating boiler CL-0.054. Power: 54KW. 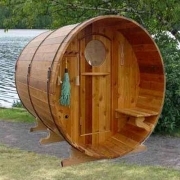 Finnish sauna type "barrel" LS-1818 with 4 places. Dimensions: Φ1800 * 1800 mm. Stove included in the price. 150 mini jeep off-road without registration. Specification: Engine: EPA Certificate Type: 4 stroke, single cylinder, air-cooled Power: 6.8kw (7500r / min) 9.3HP Compression: 9.5: 1 Fuel system: Carburetor Throttle System: automations Capacity: 9.5L Transmission: Drive: 2WD Final Drive Chain-drive Transmission Automatic Gear Selection H-P-R Electric system: Headlights: Headlights-High & Low Beam Rear lights: Brake Lights & Left / Right Signal lights Starter system: electric Ignition: C.D.I Brakes: Suspension Front Double A-arm Suspension Rear Dual Shock Swing arm Brakes Front Dual Hydraulic Disk Brakes Rear Rear Single Axle Hydraulic Disk Tires Front 970mm 19x7-8 Rear 965mm 20x10-9 Maximum speed: 55km / h Weight: 210kg Ground clearance: 200mm Seat belts. Pellet boiler steel HEATING BV0.035-85 / 65-M WOOD PELLET. Power: 35KW. 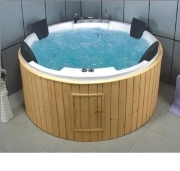 Whirlpool bath SAUNA HV1800B - jacuzzi Dimensions in mm: 1800 * 1800 * 800 1. Luxury large jet (12 pieces.) 2. Small jet (10 pcs.) 3. Air bubble jet (10 pcs.) 4. Switch for hot and cold water 5. Water 6. Electric motor (2 pcs.) 7. 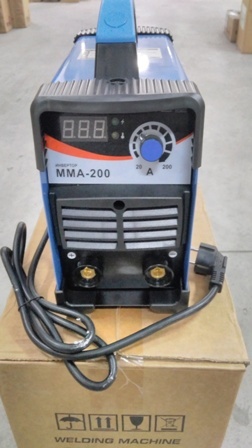 Air pump 450W 8. Facing-wood paneling 9. 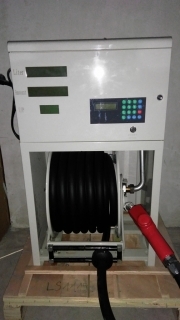 Skimmer 10. regulator constant temperature 11. Water filter 12. Computer Control Panel 13. Radio -New condition. Pellet heating boiler CL-0.035. 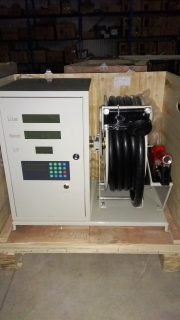 Power 35 KW. Twin Finnish sauna type "barrel" LS-1812.Material pine. Stove included in the price. The fan is without a driving motor Parameters engine with 5.5 kW: Flanets- diameter 500 mm. Power Supply: AC - 380V / 50Hz. Power: 5.5 kW; 2620 turnovers / min . ; Airflow: 4267-8048 m3 / h; Pressure: 1893-1373 Pa; Dimensions: 110x113x97 cm. Parameters engine with 7.5 kW: Flanets- diameter 500 mm. Power Supply: AC - 380V / 50Hz. Power: 7.5 kW; 2900 turnovers / min . ; Airflow: 4723-8909 m3 / h; Pressure: 2324-1687 Pa; Dimensions: 110x113x97 cm. 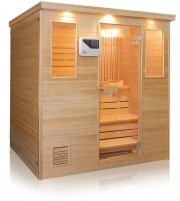 Infrared sauna with 4 places • kind of wood: Canadian Red Cedar. • Dimensions: 1800 mm x 1900 mm x1200mm. Panel thickness 7 cm • Power: 2400 W • Tempered glass door: 6 mm • wall elements: Multi-layer double wall construction • Digital control inside Extras gift: Carbon heater 300 lev. • CD / FM / AM stereo 150 lev • Cup holder and newspapers 40 lev magazine • Bracket • Moisture and heat resistant speakers 50 lev • Large panoramic window. There are 11 external heater and a digital controller. 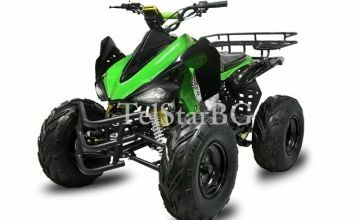 ATV 250 cc. Large comfortable tires (jumbo)! Parameters: 1) Engine: 250cc, 4-stroke high cost, air-cooled 2) Max. Power: 13.0 / 7000 ± 150 (kw / rpm / min) 3) Max. 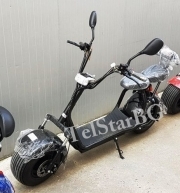 torque: 8.8 / 5500 ± 150 (Nm / rpm / min) 4) Ignition: Electronic CDI 5) Electric starter 6) Fuel consumption: ≤ 365g / kW / h 7) Connector 8) Transmission: 4 + 1 reverse gear 9) Dimensions (L x W x H): 1800 x 1010 x 1110 10) Tyres: front 23x7-10 ", rear: 22h10-10 Large comfortable tires (jumbo)! 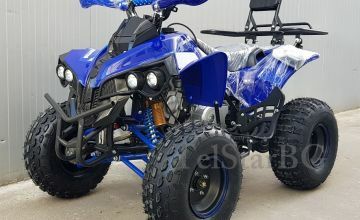 11) Brakes: a) Front: drum b) Rear: Drive 12) Suspension: a) independent front shock absorbers b) Rear shock absorber medium 13) oil capacity: 7.5 L 14) climb gradient: ≥ 25 ° 15) Colors: blue, red, camouflage -New condition. Grapple for wood Swiss Tech TS-1700.The grapple is made robust and reliable, with low weight and great durability. Attach the nozzle as a specialized crane or mini-tractor. You can put rotator R30. 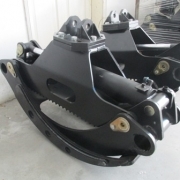 Maximum Opening: 1700 mm Weight: 156 kg grip area: 0.35 m2, load capacity up to 5 tons. 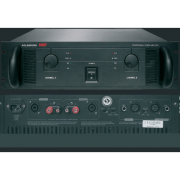 Amplifier Biema XTD-1300H4 4x2500w 2om 4CH. Maximum power of all channels: 10000W. Maximum output voltage of each channel: 150Vpeak. Output Power: 2500W (2 Ohm), 2300W (4 Ohm) 1300W (8 Ohm) Symmetrical variation <0.1%. S / N ratio:> 112dBA. A channel separation; 1 kGts:> 70dB. Frequency response: 1Vt, 8 Ohm): +0 / -3Db 10Hz-25kHz. Power supply: 180-260V 50 ~ 60Hz. Dimensions: 482 x 392 x 88 mm. Weight: 14 kg. Engine: single cylinder air-cooled, 4-stroke. Displacement: 110cc. Automatic transmission. 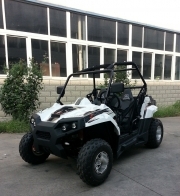 Ignition: electric Mode of transmission chain Maximum speed: 50 km / h Accumulators: 12V, 9 AH Tank capacity: 7 liters Front tires: 4.80-R8 Rear tires: 4.80-R8 Weight: 160/140 kg Dimensions: 2000x900x740mm. Without a spare tire and tube. 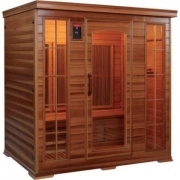 Microlight infrared sauna • kind of wood: Canadian Red Cedar • Dimensions: 1200 mm x 1050 mm x 1900 mm • Power: 1650W • Tempered glass door: 6 mm • wall elements: Multi-layer double-walled construction. • Infrared Panel thickness 7 cm. Extras gift: • Carbon Heater 300 lev • CD / FM / AM stereo 150 lev • Cup holder and newspapers 40 lev • Bracket magazine. • Moisture and heat resistant speakers 50 lev • Large panoramic window. 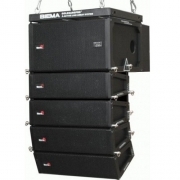 BIEMA LINE ARRAY ACTIVE DELTA consists of an active subwoofer (2 × 8 "400W) and 4 x satellite (2 × 4" x100W). It is fitted with a frame for hanging. 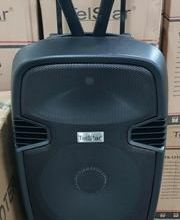 The speakers can be found at the altitude or the surface of the stage as a linear array. It can be used outdoors and in large rooms, theaters, concert halls, clubs, discos, gyms. The structure for attaching the pattern is of aluminum. 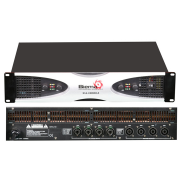 Biema array features a modern design and reliability. There is a special reinforced packaging that protects the device during transport.